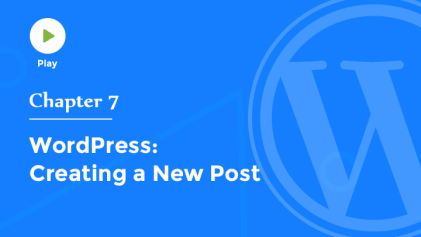 In this video, we’ll take a quick tour of the WordPress Editor, which is used to edit Posts, Pages, and other types of content. At the top of the page is the Title field, and just below it the Post Editing Area. These two fields are fixed in place, but you can reposition any of the other meta boxes using drag and drop. You can also minimize or expand them by clicking the title bar of each box. And you can use the Screen Options tab at the top to hide or show additional meta boxes that'll appear below the Editor. You can even choose from a one or two column layout for the screen. This allows you to completely customize the panel with just the functions that work best for you. Now, if you've ever used a text editor like Microsoft Word, you'll be right at home with the Editor controls in WordPress. You can choose from Paragraph and Heading styles, or use the buttons across the top to easily format text. Simply highlight a word or phrase, and then click one of the buttons to apply that formatting to the selected text. You can easily insert bulleted or numbered lists by clicking the button for the type of list you wish to create, and then adding list items one at a time, hitting the Return key to create each new list item. You can highlight and draw attention to special items like quotes by using the Blockquote button. And of course, you can align text to the left, center, or right. Creating links is as easy as highlighting a word or phraseand then clicking the Insert Link button. Enter the URL where you want the reader to go when they click this link. Click the blue button to apply this link, or click the gear icon to reveal more options. For example, you can choose whether you want this link to open in a new window or tab. Now, you can use this method to create a link to any website, but you can also easily link to your existing content from your own website by simply choosing a page or post from the list at the bottom of the window. WordPress will automatically insert the URL to the page or post you’ve selected. When you've finished, click the Add Link button, and this text will now function as a link. To edit or remove a link, highlight or click anywhere within the link anchor text, and then either Edit or Remove the link.If you're creating a lengthy article, you might want to display just the first paragraph or two on your main blog page, with a link that folks can click to Continue reading the remainder of the article on its own page. Just click your mouse where you'd like the excerpt to end,then click the button to Insert the Read More tag. Any content below this divider will not appear on the front page of your blog, but will appear when folks click through to the full view of that article. Clicking the Toolbar Toggle button reveals a second row of additional formatting buttons, including less frequently-used styles, like strikethrough text or a horizontal line. You can also change the text color, even adding your own custom colors to this palette, making it easier to re-use those colors in the future. If you’re copying and pasting content from another program, like a word processor or another website, you can enable Plain Text mode. 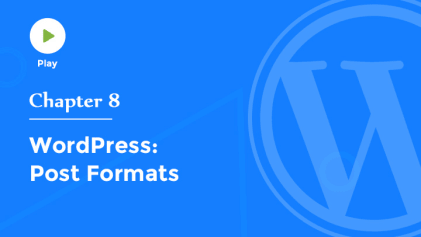 While this mode is enabled, WordPress will automatically clean and reformat any content you paste into the Editor. You can disable this mode as soon as you’re finished. You can also remove formatting from selected text, insert special symbols or characters, indent text,and most importantly, undo and redo your most recent edits. And finally, you’ll want to check out the list of keyboard shortcuts you can use to speed up your editing or quickly apply formatting styles. Now, if you enjoy writing in a distraction-free environment,you'll love the Writing mode. When this is enabled, everything outside the Editor is temporarily hidden, enabling you to focus on just your content. You'll still have access to all the basic formatting tools, and you can simply move your mouse outside the Editor window to show all the other tools again. Of course, you can enable or disable this mode at any time. In the top right-hand corner of the Edit window, there are two tabs, labeled Visual and Text. The Visual mode is the Rich Text, or Preview mode, in which we've been working. But if we select the Text mode, then we enter the code editor. You can see that WordPress has been automatically inserting HTML code called tags to apply styles to our text in a format that's understood by web browsers. Switching to Text mode replaces the Editor buttons with Quicktags. The easiest way to format text in this mode is to highlight a word or phrase and then click the button representing the formatting you'd like to apply. Notice that WordPress automatically wraps the selected text with the appropriate opening and closing HTML tags. Everything inside these tags will have that particular style applied to it. You can toggle back to the Visual mode at any time. Now, these editing tools are also used when creating or editing Pages or other types of content in your site. So, once you've familiarized yourself with the buttons and options in the Editor Toolbar, you'll be ready to create and edit content elsewhere in WordPress. Now that you have a good understanding of the Editor, it's time to start creating some content for our site. So in the next video, we'll create our first Post.